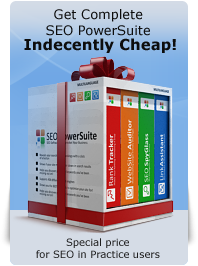 At first thank you for excellent content on SEO basic. But, did you know that the software, that you are promoted its just deception ? Excelent book, excelent subjects and excelent idea to help others in a very clear and down to earth way about SEO. I totally recommend reading each one of the articles. You never stop learning something new. Hopefully, as I follow the tutorial and scour over comments, I could learn something about SEO to help my sites rank better. Some good information on here by the looks of it. I look forward to reading through and taking a few quizzes! Thank you very much for sharing us your knowledge. God bless you and more power to your website. Please check it!! I'm a Computer Science student and have plans to make an all-in-one blog like Mashable, etc. Please check mine and if possible tell some good tricks as well. I liked the intro part till now of this awesome SEO book. Now, I'll go back to reading it!! Nice book Dan. Thanks for it!! People please check my all-in-one blog and tell me whether it'd be good enough to be the Indian Mashable one day. Its an all-in-one blog! Yes, it makes sense and it's all true. SEO optimisation is like keeping your house clean and efficient, have a sound style of life, do sports, have discipline. It enriches both you and your work. And it makes you feel right. Yes its true. SEO is the best one than PPC. I believe only SEO.